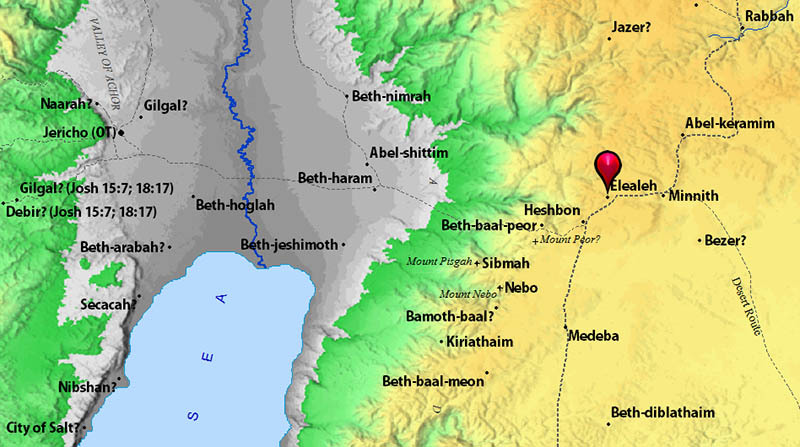 Elealeh (pronounced EL e A lah) is one of those little known cities from Bible times. It is now identified as Tell (or Tall) Al-Elealeh. The mound is located about two miles northeast of Heshbon. When we first encounter the city of Elealeh it belongs to the Moabites. After the Israelites occupied the area the city was given to the tribe of Reuben as part of their territory (Numbers 32:3, 37). Map showing Elealeh in Moab. BibleAtlas.org. The Seventh-day Adventist Bible Dictionary gives this brief information about the city. The site of ancient Elealeh. Photo by Ferrell Jenkins. 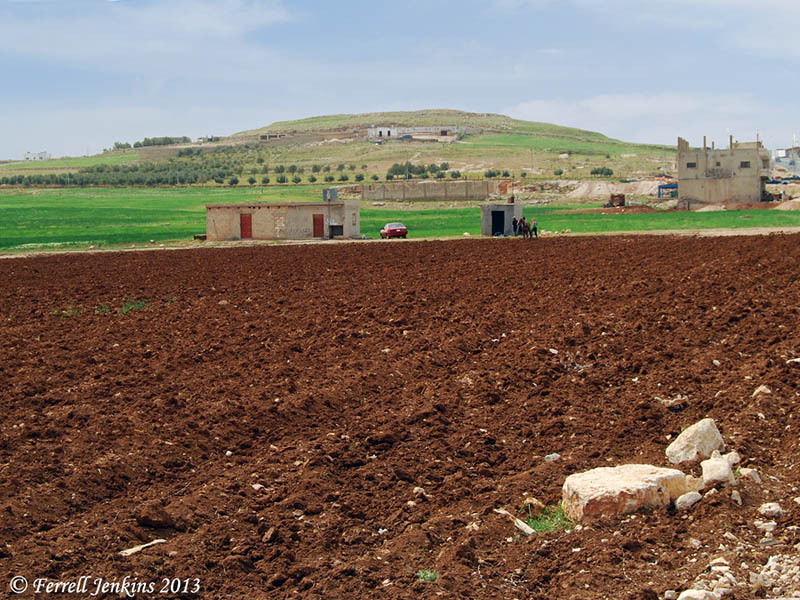 This entry was posted in Archaeology, Bible Places, Bible Study, Jordan, Old Testament, Photography, Travel. Bookmark the permalink. Nice blog. May I suggest that you post google maps links to the places you are talking about, for example this city? Maybe you can create a google maps profile of yours and a person can then explore it to find the different ancient names of moder day cities and villages.